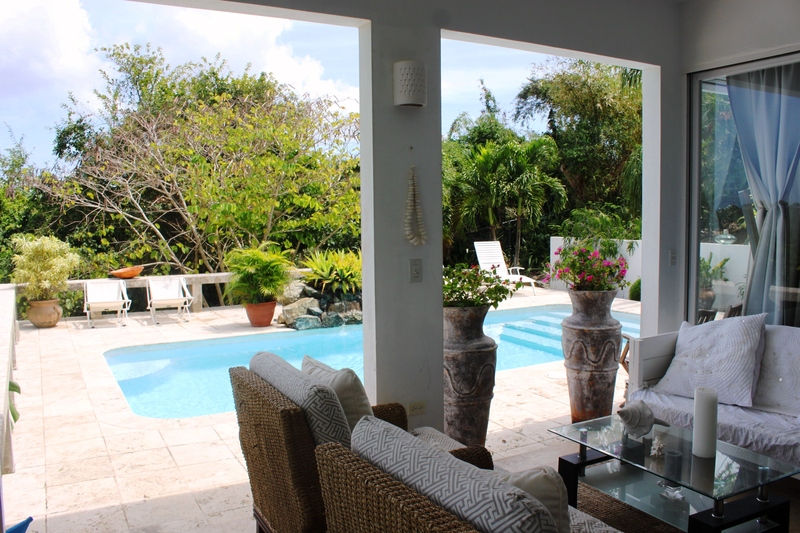 WATERCOLOR is a magical and very private Caribbean Estate, with hints of Tuscany, located in the exclusive and peaceful barrio of Destino. 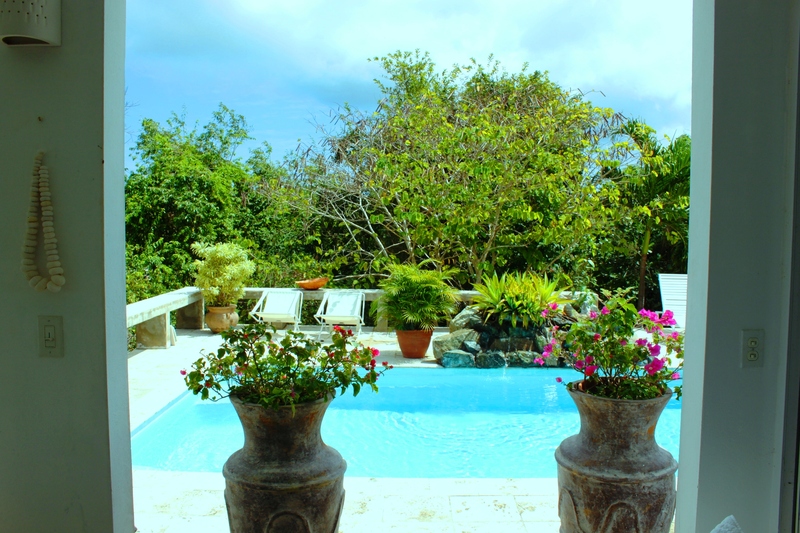 This three bedroom and two bathroom, 1.28 acre estate, with Ocean Views and artfully decorated, is a home waiting for discerning owners. 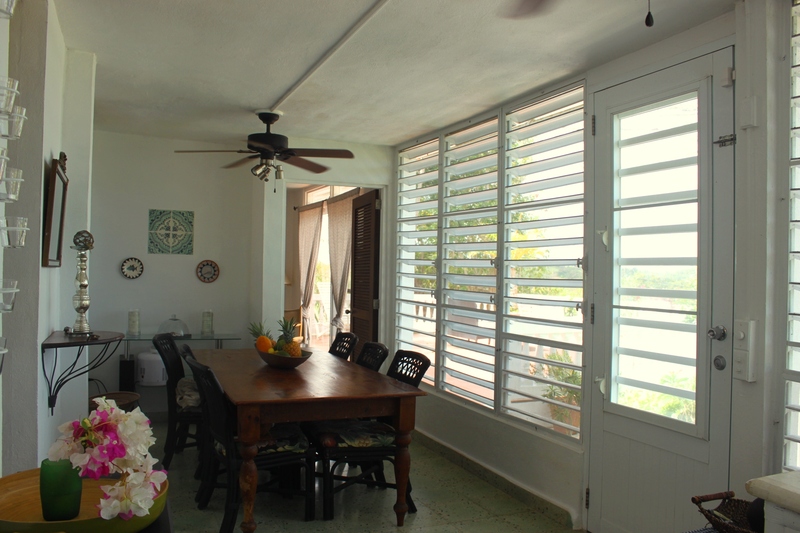 The home offers multiple views of the North Shore and filtered views of the South Shore from an assortment of viewing decks, patios, covered spaces as well as from inside the house. 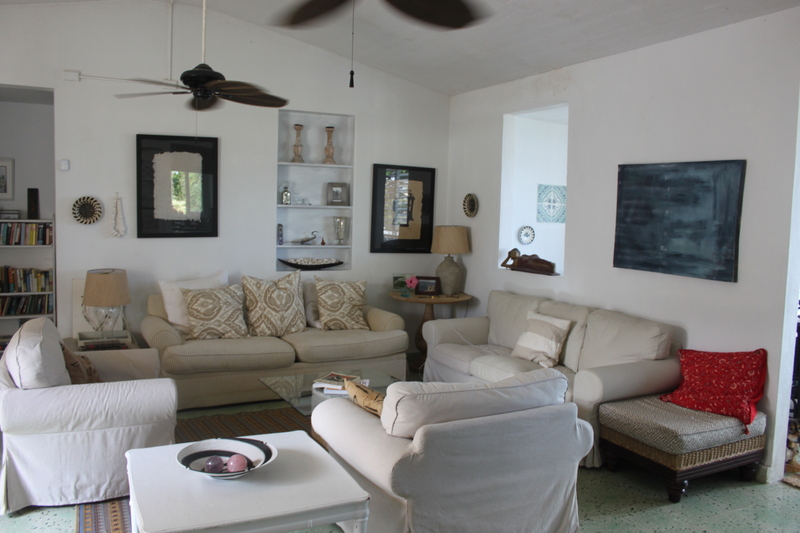 The center of the home, is a Historical La Praa structure, that now stands as the family room and all other rooms radiate from here. 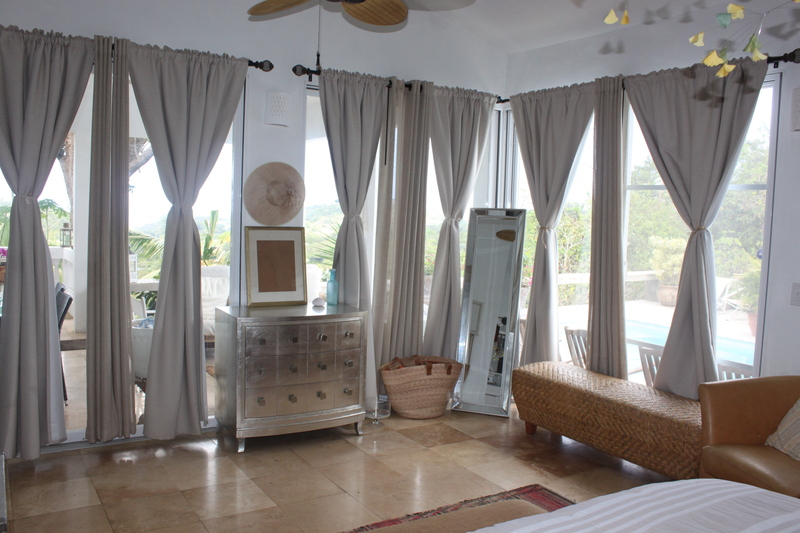 There is Master bedroom wing to the North, with spectacular new windows and doors on three sides, opening to the swimming pool and outside shower. 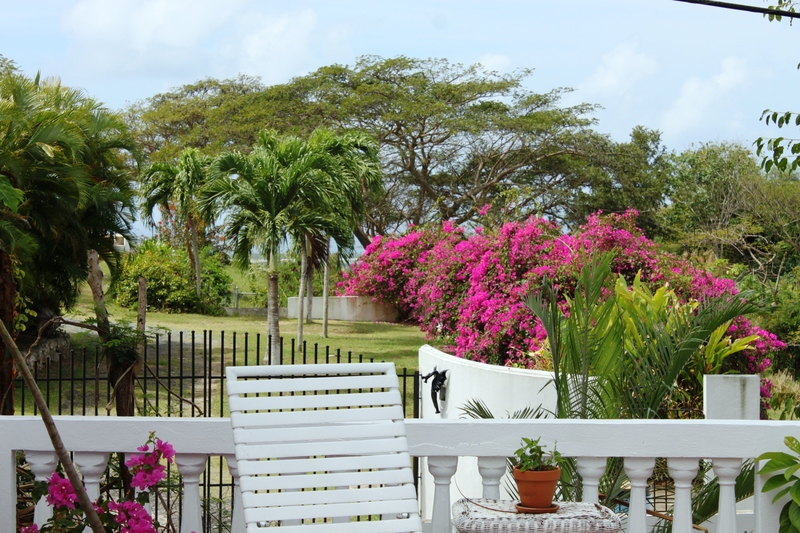 The views from the bedroom are of the Ocean on the North Shore, the Swimming Pool and Fountain and the lush Tropical landscaping. 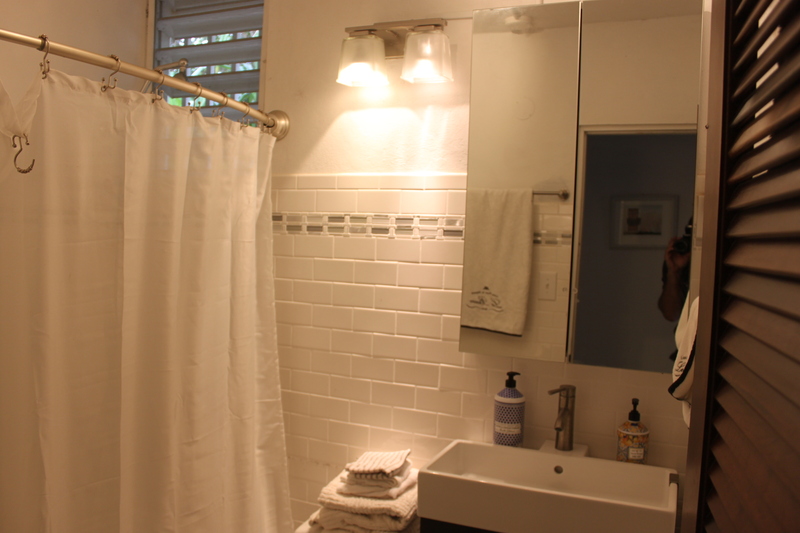 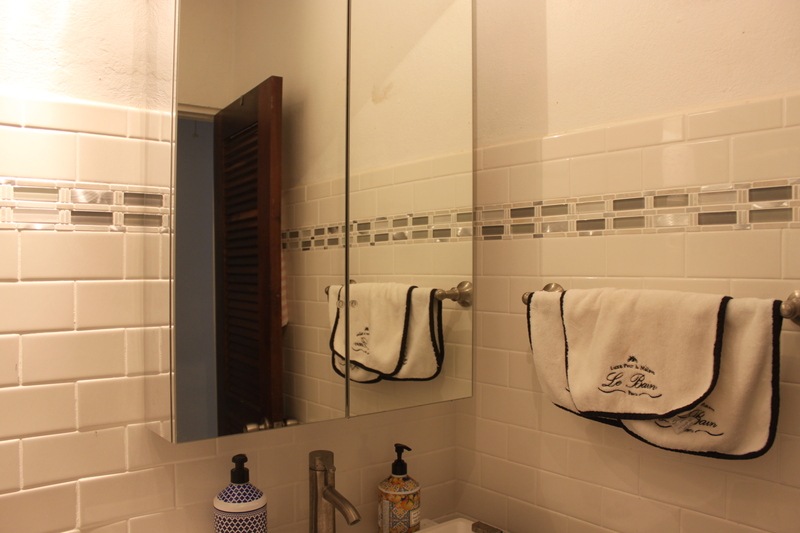 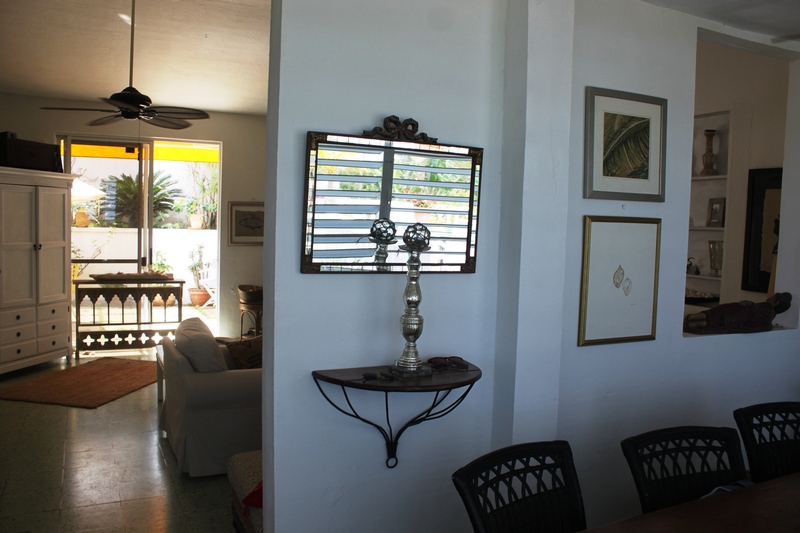 The guest side of the home is to the South, with two bedrooms sharing a newly remodeled bathroom. 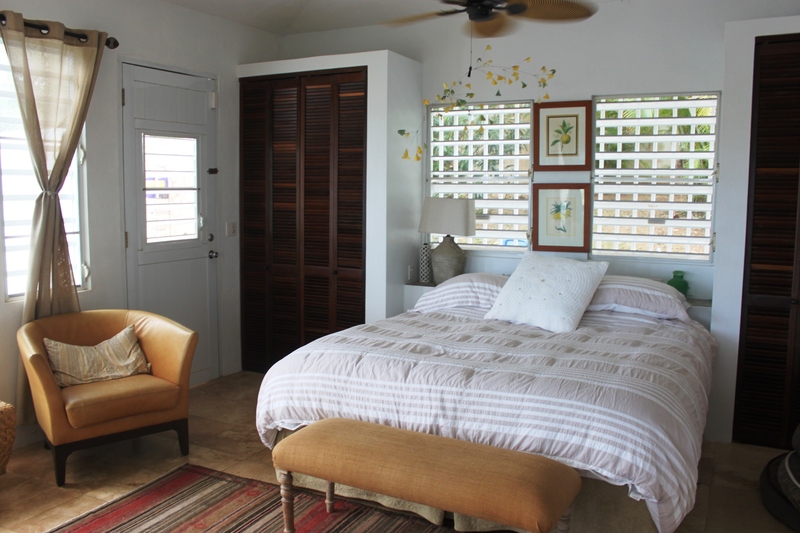 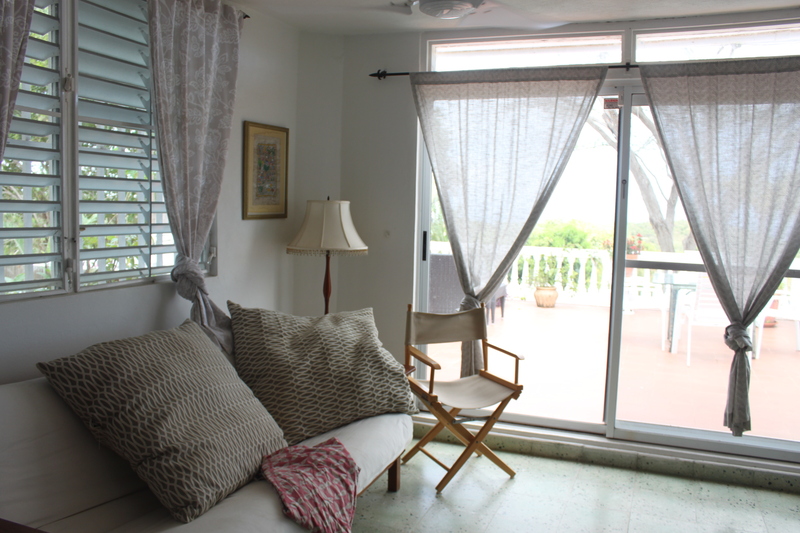 One bedroom looks onto a private courtyard while the other looks across a large terrace to the ocean views beyond. 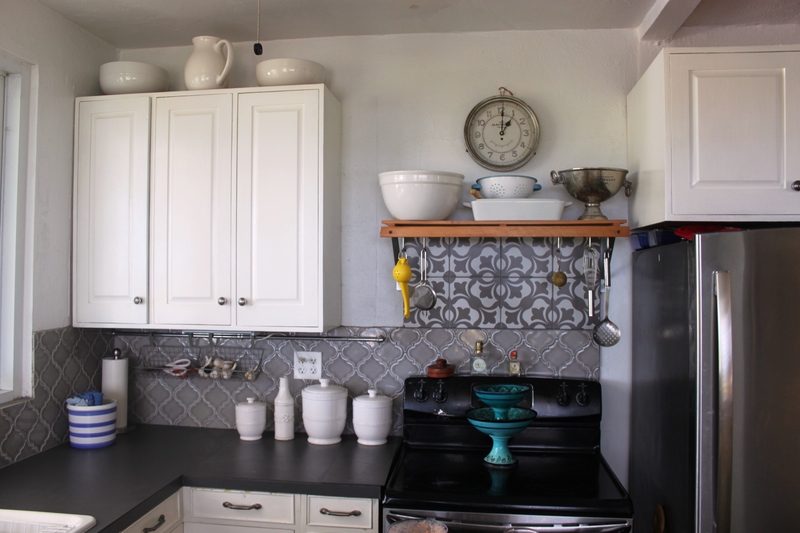 The newly renovated kitchen features classical tile work, stainless steal appliances, custom made Cabinetry, painted in layers of oil base paint to give the “aged to perfection” feel. 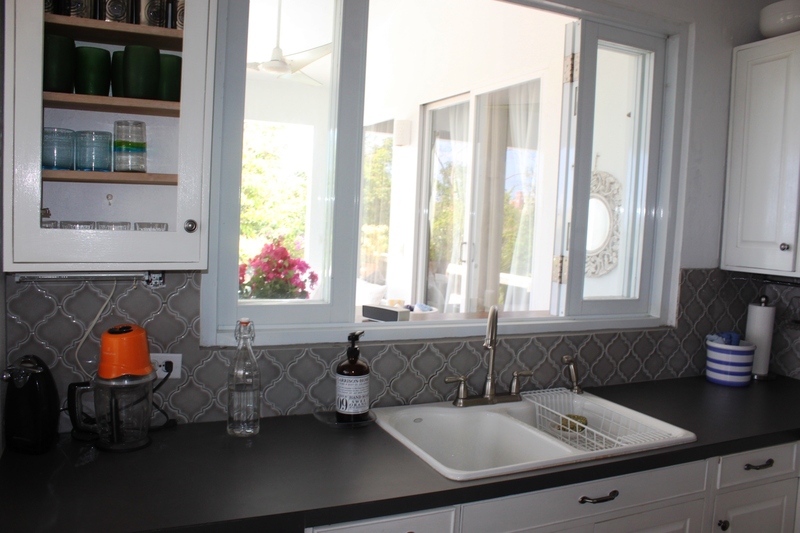 The counters are state of the art material that can withstand heated pots on the surface. 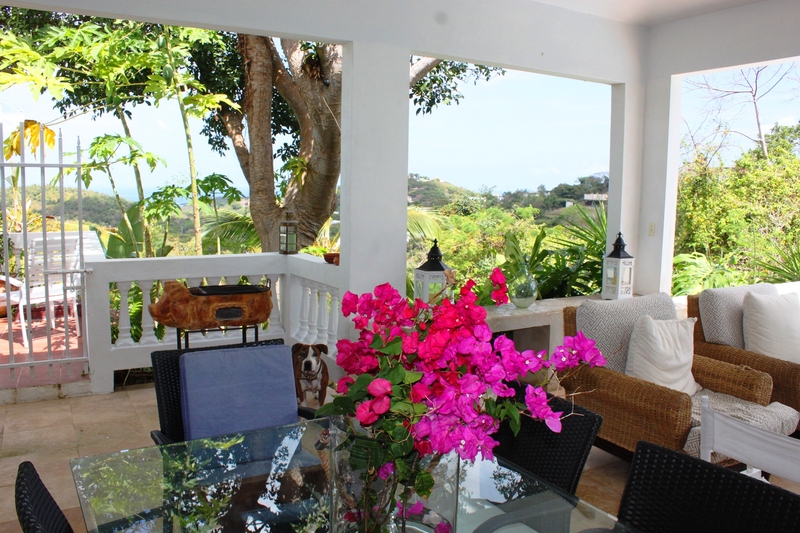 The dining room and morning coffee porch exude Romance and will wake you gently or create a fun dramatic dinner space. 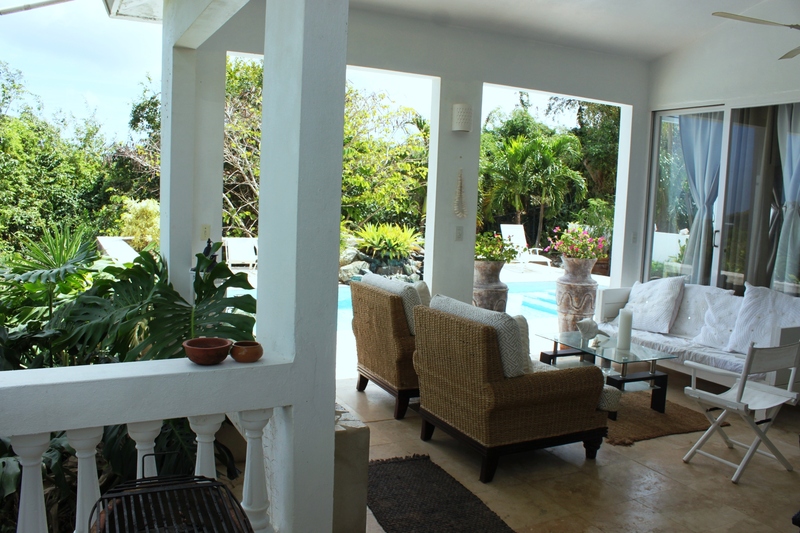 The Soul of Watercolor is the outdoors covered living room and dining room areas, that are located poolside with the pools fountain lulling you to Wonderful Tropical fantasies. 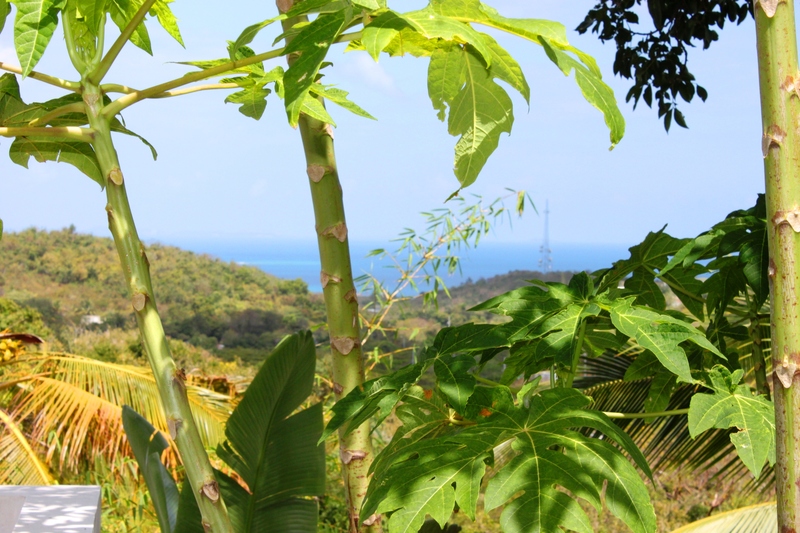 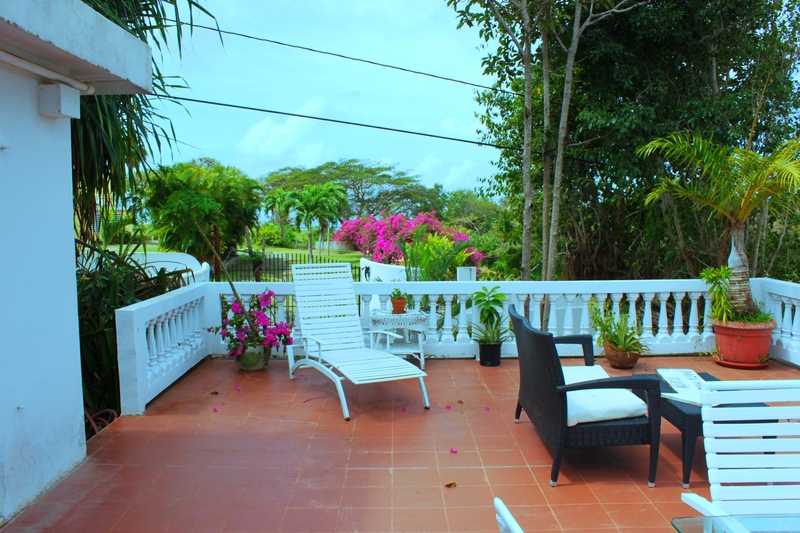 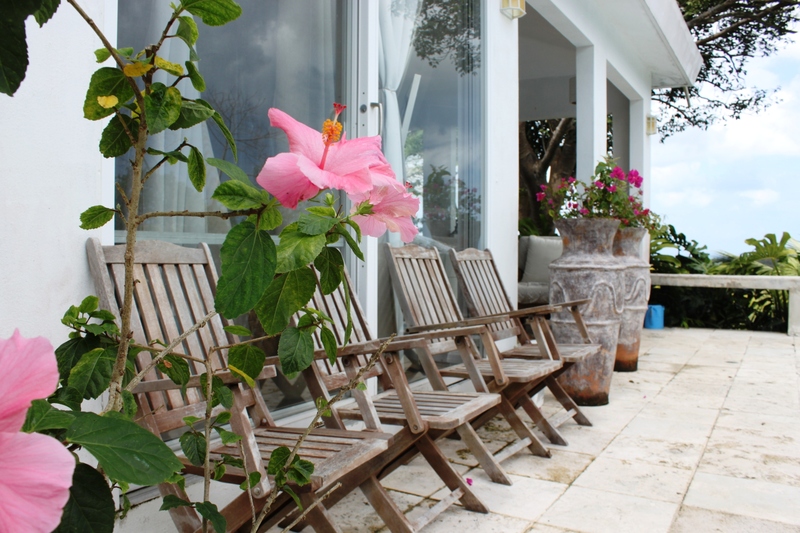 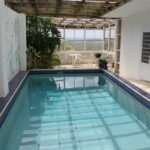 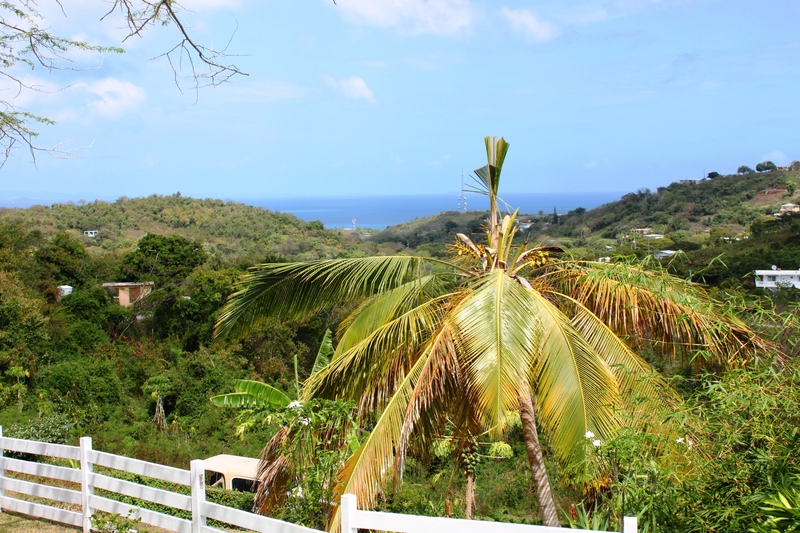 Here you can enjoy so much that is wonderful on Vieques including dreamy Ocean Views and lush green Hill Views along with the sounds of water, Trade Winds, birds and crickets lazily making their presence known. 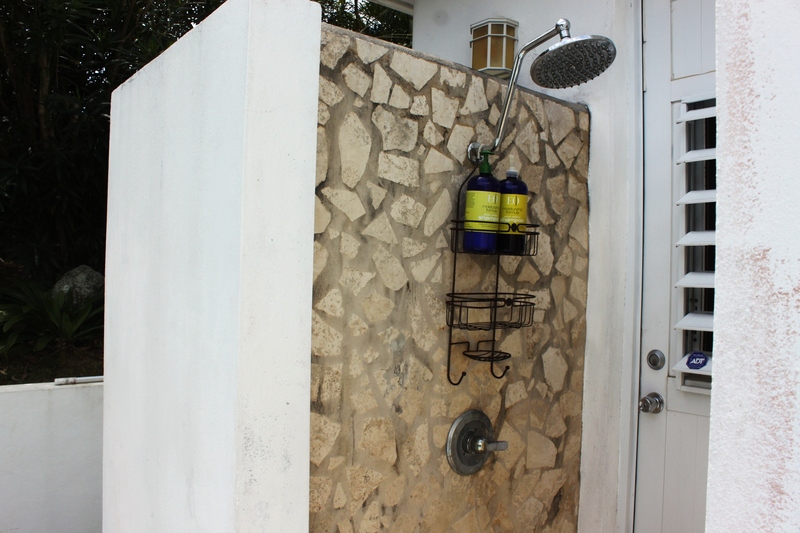 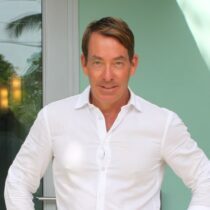 Watercolor has a security system, 1700 gallon cistern with pump, two car garage, gated, tropical landscape including a variety of Coconut Palms, Fox Tail Palms, Triangle Palms, Limone Tree, Starfruit Tree, Quenepa fruit, Papayas, Bougainvillea, Orchid Trees and many others. 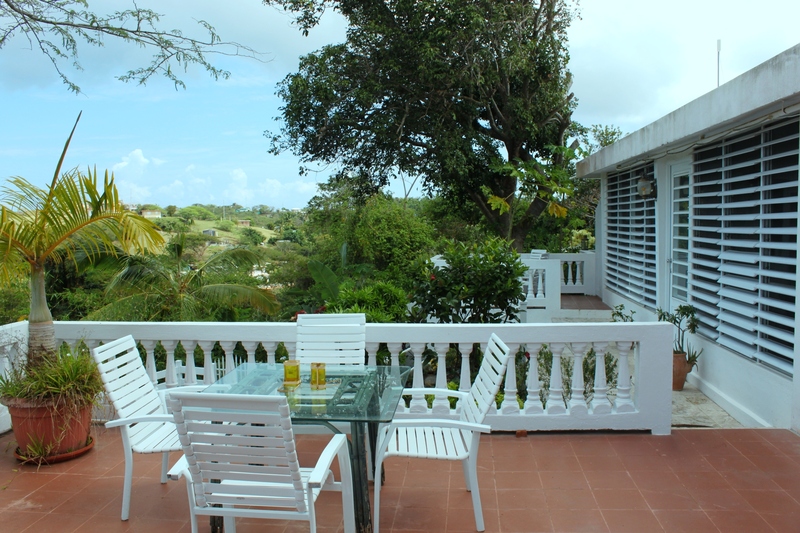 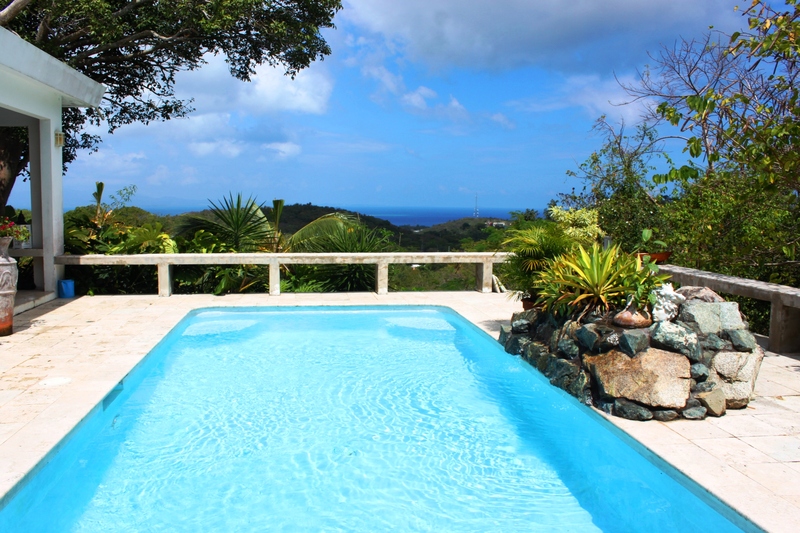 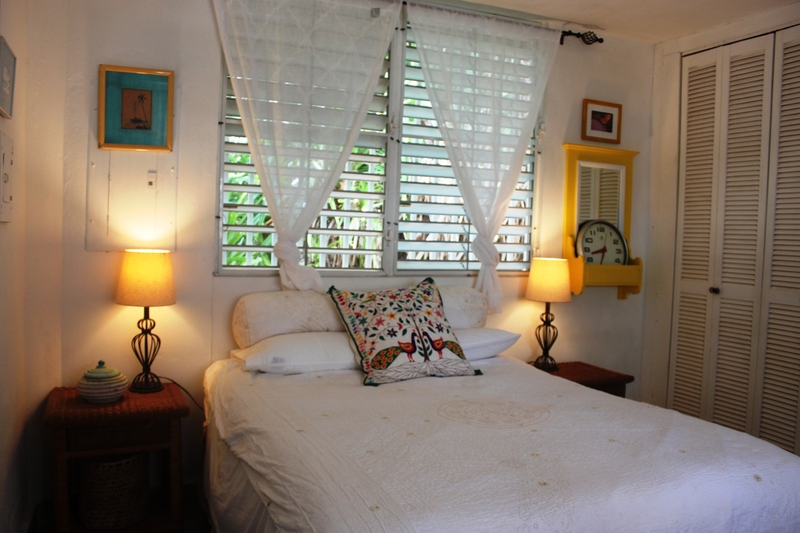 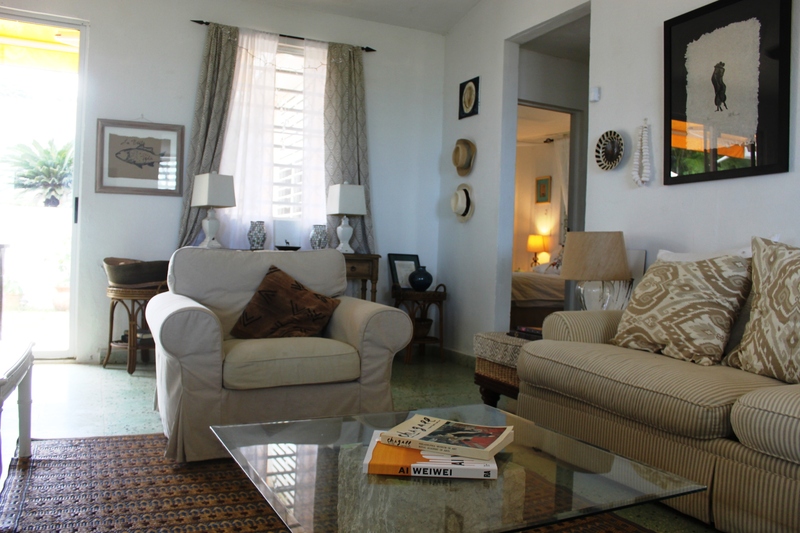 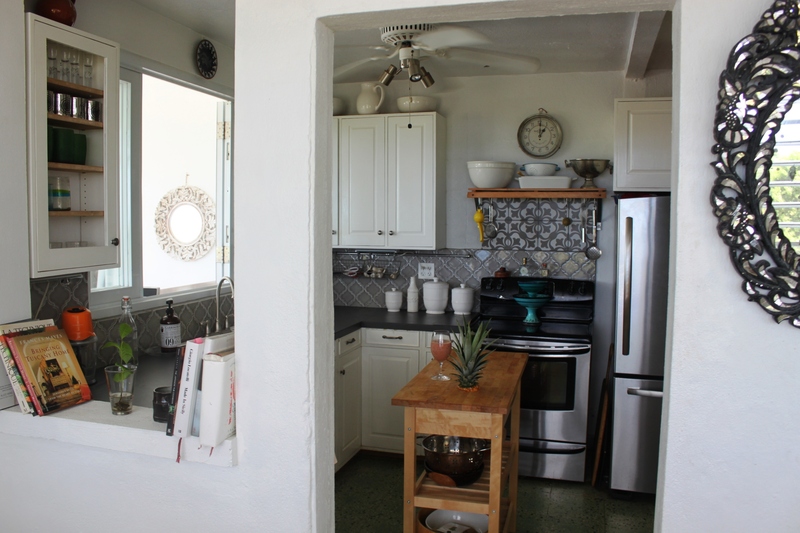 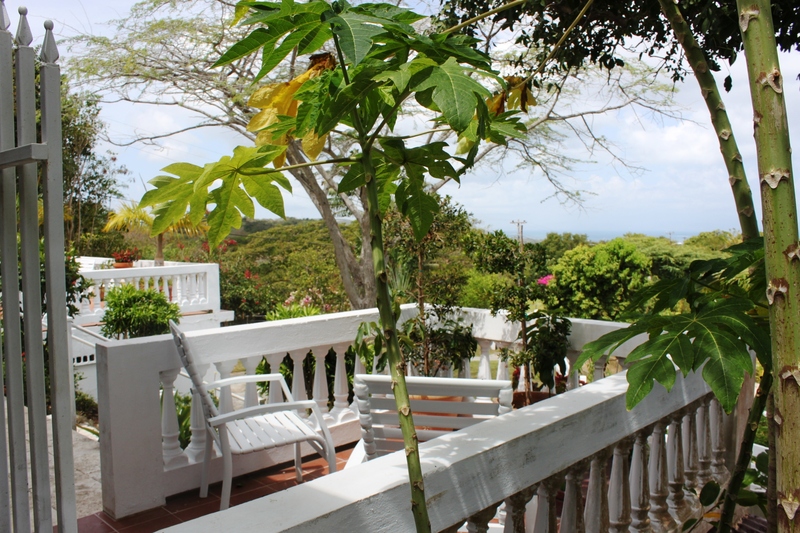 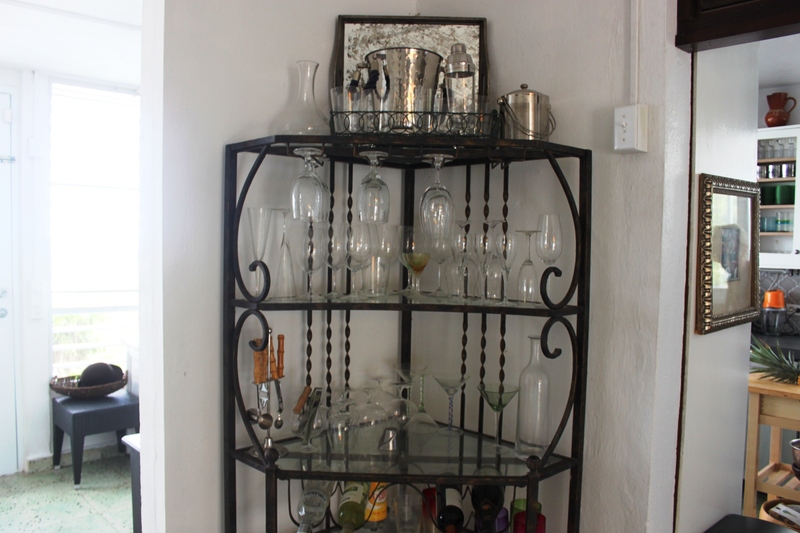 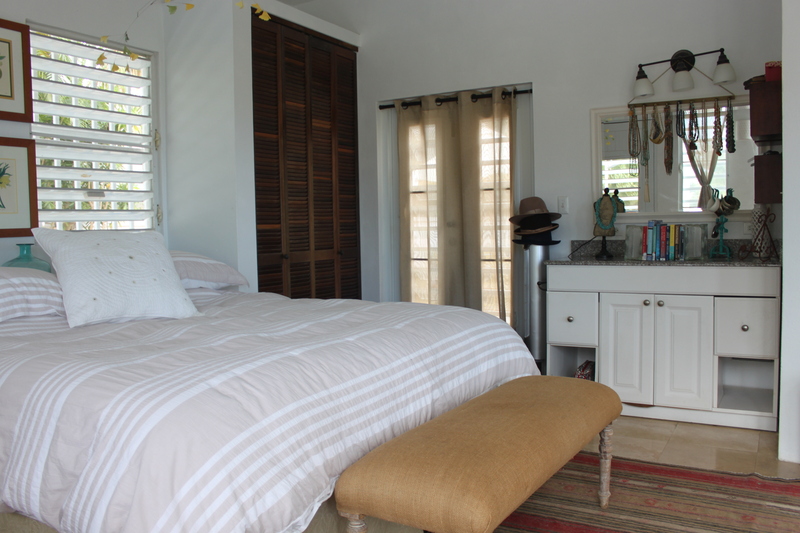 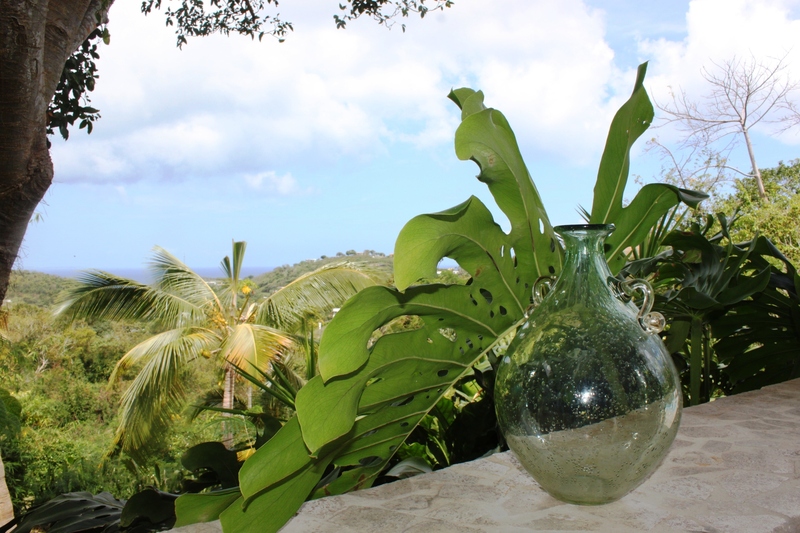 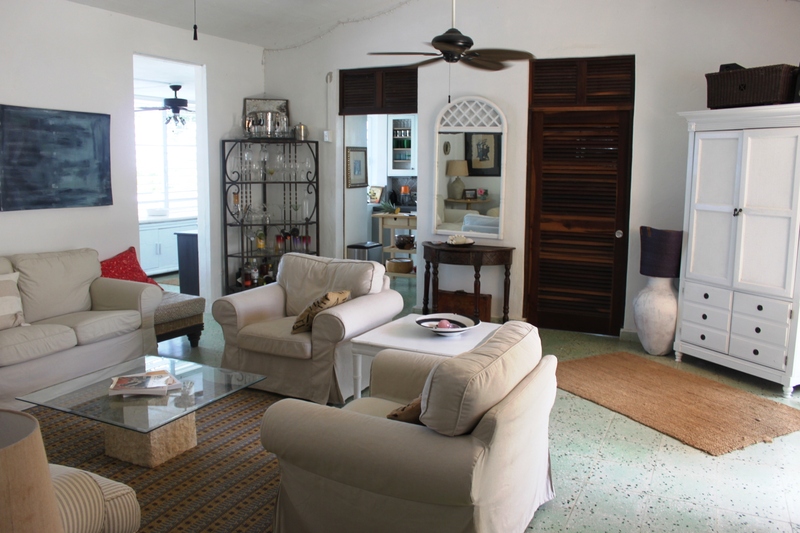 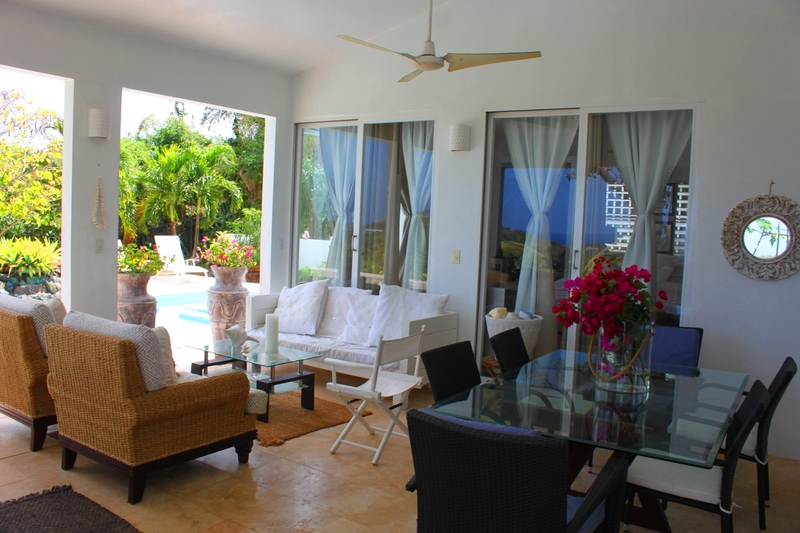 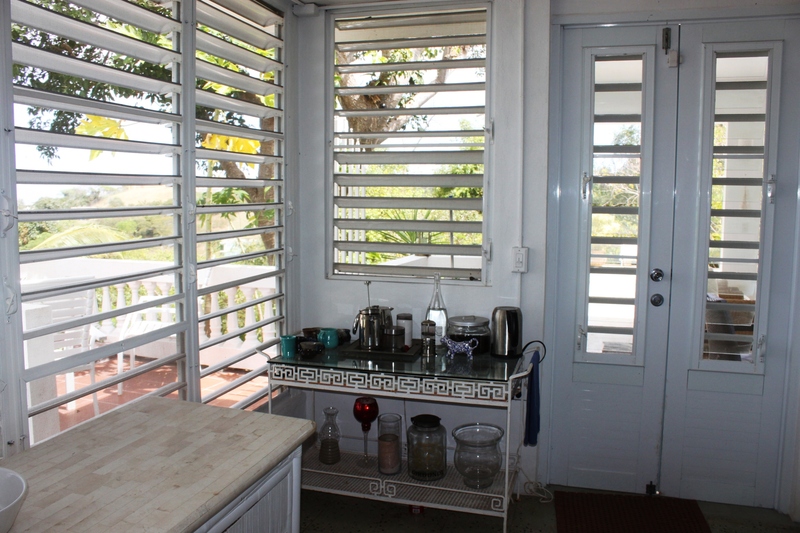 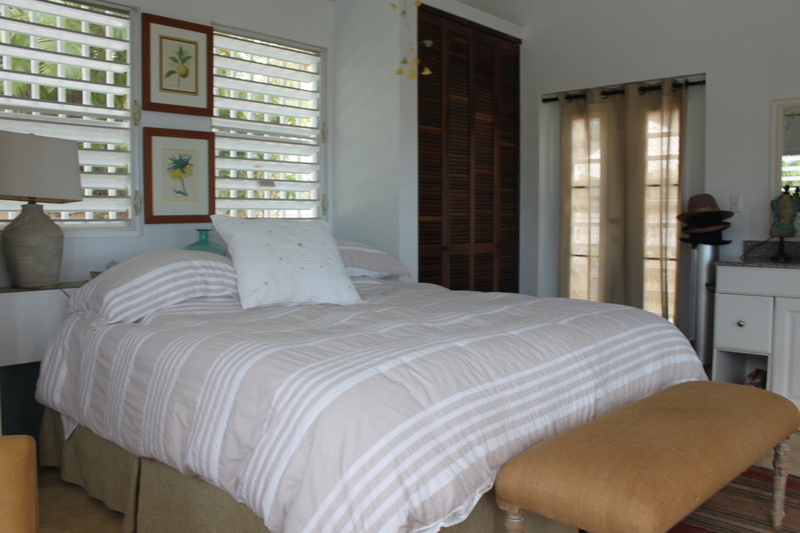 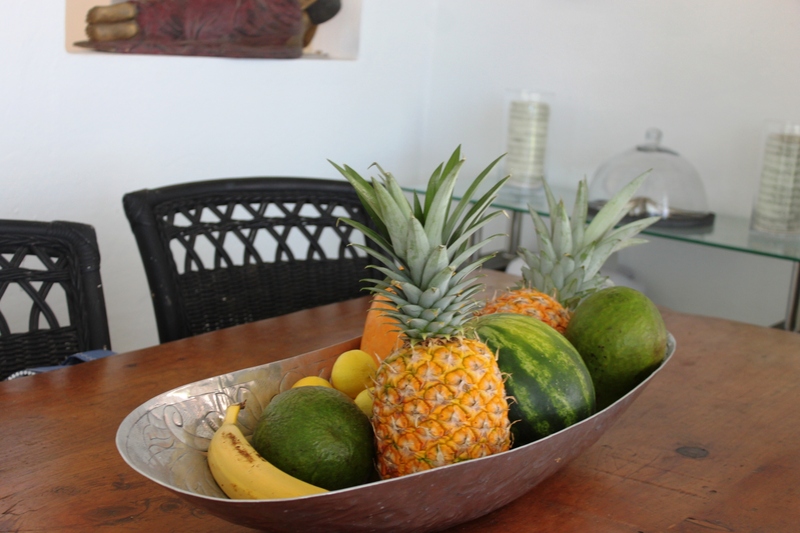 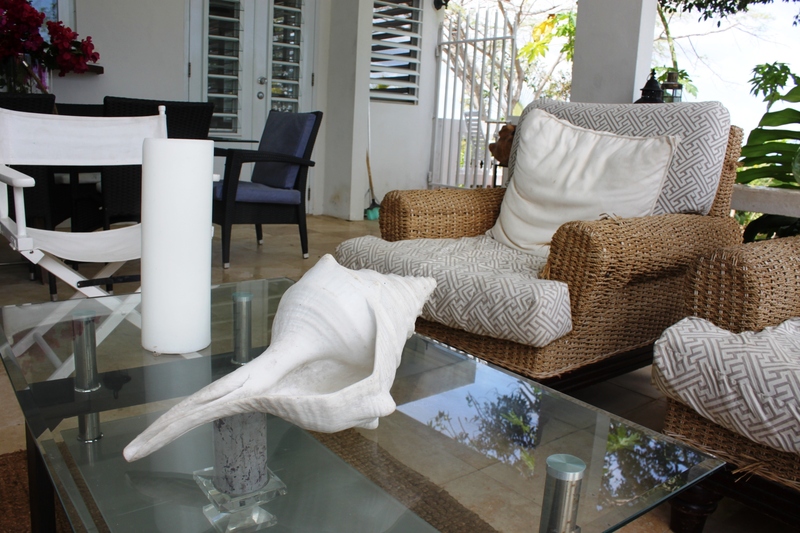 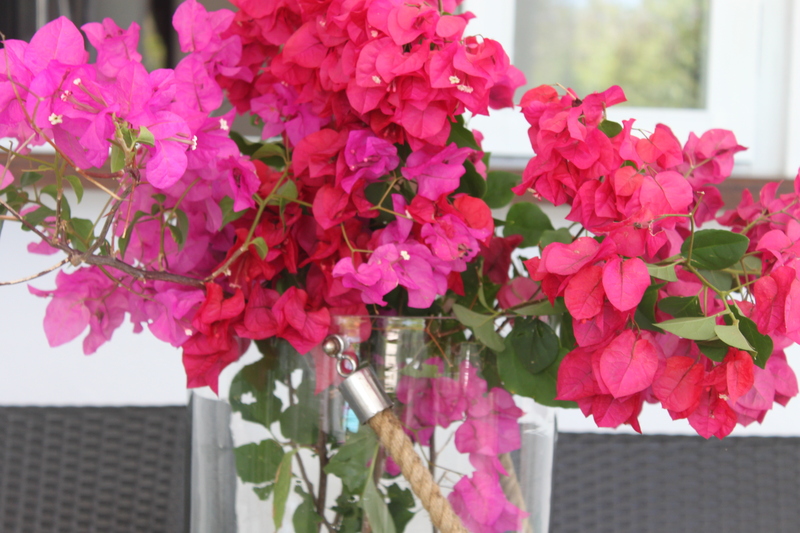 The home comes Fully Furnished and move-in ready or rental-ready for your Vacation Rental. 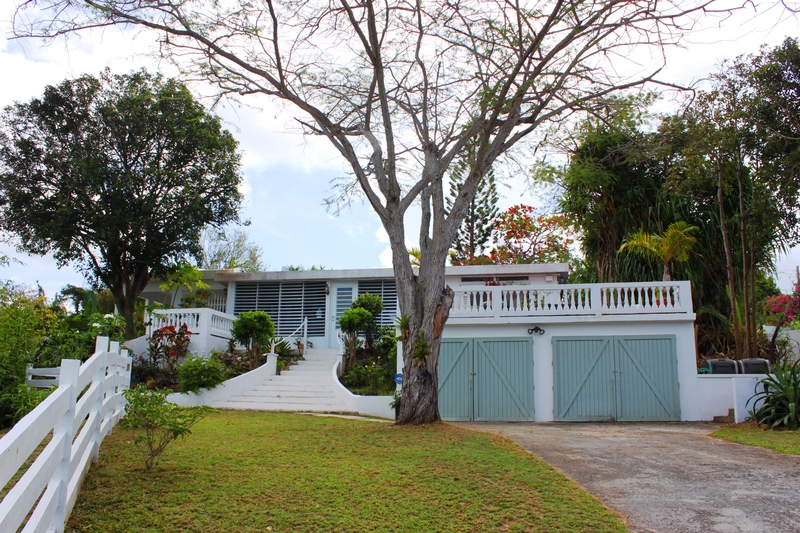 For your Exclusive viewing of this dream home call or email us at Bravos Boyz Real Estate and Property Management today!